Here’s a complete guide on how to use Apple TV, iPad or the HomePod as a Home Hub for controlling all your HomeKit-enabled devices remotely. Once you jump into the HomeKit game, it’s only obvious that your newfound hobby is going to grow by a huge margin in a course of few months. But the fun goes through the roof once you realize that you can control everything HomeKit-enabled straight from the Home app on your iPhone or iPad, regardless of where you are. Of course, you can’t just do that out of the box, there’s a little bit of setting up to do, and we’ll walk you through it. 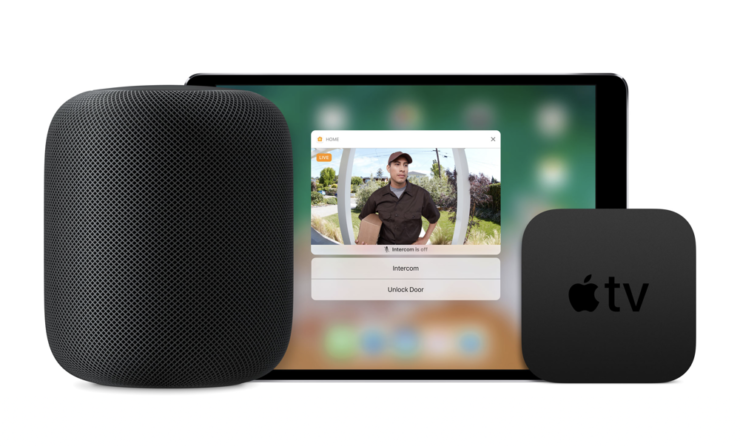 For this to work, you are going to need either an iPad (running iOS 11), a fourth-generation Apple TV or a HomePod running the latest firmware from Apple. Also, these devices must be signed in to the same iCloud account which you used to set up your HomeKit devices. If you don’t fulfill either of these requirements then you are out of luck. Note: Your iPad must be connected to WiFi and stay at home at all times in order for this to work. Scroll down and tap on Home. Now enable the ‘Use this iPad as a Home Hub’ option. Note: if, for some reason, you don’t see the My Home option on your Apple TV, you might want to set up your Apple TV from scratch using your iCloud account. Now enable the My Home option. Just set up your HomePod using your Apple ID and it will automatically turn into a Home Hub for your devices. There’s no setup process at all. Needless to say, the HomePod is forged to be a Home Hub right out of the box. From here on in, if you walk out of your house, away from WiFi and connected to cellular only, you can still summon your HomeKit devices using the Home app. This means you can control lights, turn off your air-conditioning, close the blinds, pretty much everything and anything as long as your home WiFi works like a breeze.